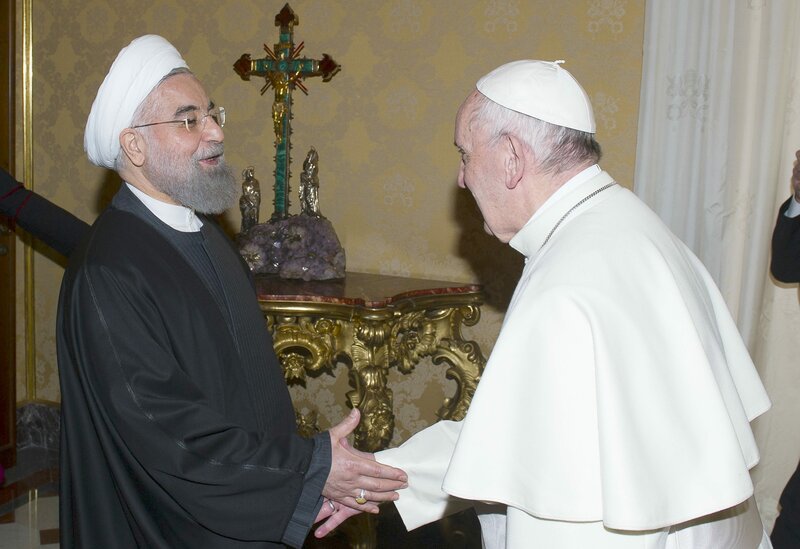 The president of the Islamic Republic of Iran, Hassan Rouhani, today visited Pope Francis in the Vatican. He subsequently met with Cardinal Secretary of State Pietro Parolin, accompanied by Archbishop Paul Richard Gallagher, secretary for Relations with States. According to a statement from the Vatican press office, “During the cordial discussions, common spiritual values emerged and reference was made to the good state of relations between the Holy See and the Islamic Republic of Iran, the life of the Church in the country and the action of the Holy See to favour the promotion of the dignity of the human person and religious freedom.